Christmas is coming and with it many family traditions. Two years ago we moved from Brazil to Michigan, and since we did’t have any family or friends around we decided to embrace a new Christmas tradition just for the five of us. And searching on the internet we found about Elf on the Shelf. The Elf on the Shelf: A Christmas Tradition is a 2005 children's picture book, written by Carol Aebersold and her daughter Chanda Bell, and illustrated by Coë Steinwart. The book tells a Christmas-themed story, written in rhyme, that explains how Santa Claus knows who is naughty and nice. It describes elves visiting children from Thanksgiving to Christmas Eve, after which they return to the North Pole until the next holiday season. The Elf on the Shelf comes in a keepsake box that features a hardbound picture book and a small soft toy in the form of a pixie scout elf. This story describes how Santa's "scout elves" hide in people's homes to watch over events. Once everyone goes to bed, the scout elf flies back to the North Pole to report to Santa the activities, good and bad, that have taken place throughout the day. Before the family wakes up each morning, the scout elf flies back from the North Pole and hides. By hiding in a new spot each morning around the house, the scout elf plays an ongoing game of hide and seek with the family. It's so fun playing "hide and seek" everyday to for it! And don’t forget to set an alarm to put him in a new location everyday, otherwise you will forget. Or he disappears. Also he doesn't move or speak when kids are awake. 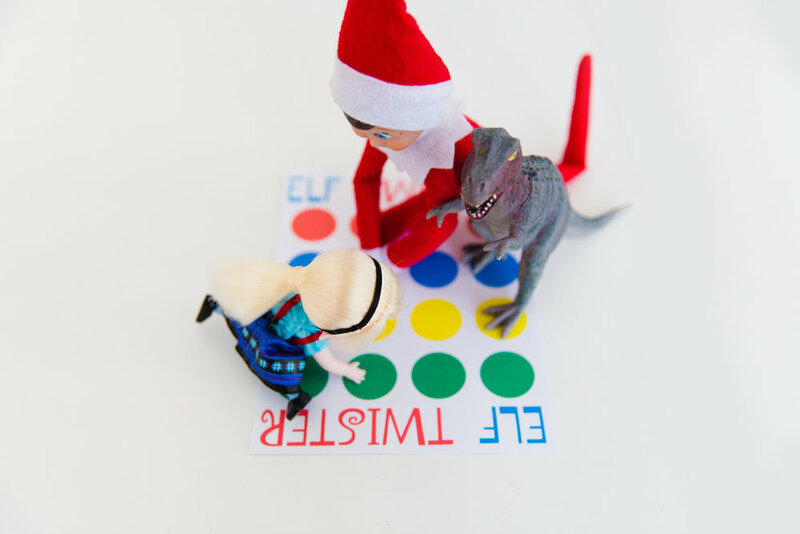 I hope you have a lot of fun with Elf on the Shelf as much as we have to!